Cats enjoy treats just as much as dogs do, even if they’re not as likely to “sit” or “shake” to get one. Treats are a great way to bond with your cat, entice them into a carrier, or distract them during a grooming session. The best cat treats fit into a healthy feline diet, are heavy on protein, and skip unnecessary fillers like corn, wheat, sugar, or extra sodium. After talking to vets, scrutinizing ingredient labels, and offering the finalists to our own cats, we landed on our top picks. We started by compiling a list of major cat treat brands sold at pet supply retailers like Chewy.com, Petco, and PetSmart — brands like Blue Buffalo and Purina, which most cat owners recognize from a trip down the cat food aisle. This gave us a starting list of 254 products, from baked treats and freeze-dried minnows to individual tuna pouches. Note that we looked only at treats for cats in good health, avoiding products intended to treat issues like hairballs or diabetes. Many cat treats contain added sweeteners like corn syrup or sugar. We weren’t happy about these additions for two reasons: First, with diabetes and pet obesity growing concerns in the U.S., the addition of sugar to treats is considered harmful by experts. Second, evidence suggests that cats can’t even taste sweet — there’s truly no reason for sugar to show up at all in your treats’ ingredient list. Eliminating extra sodium took many more brands off our list than extra sugar, and while this cut out brands typically regarded as “healthy” (like Blue Buffalo), veterinarian Dr. Elisa Katz of the Feline Nutrition Foundation points out that cats on dry food diets are already prone to dehydration, and salt is a known dehydrator. Bad enough by itself, dehydration can in turn lead to issues like kidney stones and urinary crystals. Artificial preservatives BHA and BHT appear in cat foods and treats from respected brands like Purina, but there is evidence to suggest they’re carcinogenic to animals. Artificial dyes are used to make treats look more appealing to pet owners. 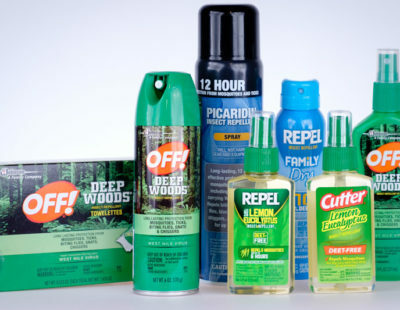 But these ingredients are suspected carcinogens to humans — and your cat couldn’t care less. A treat or two with any of these ingredients isn’t going to be especially harmful. But given the choice, we opted for no dyes and for natural preservatives, like tocopherols (vitamin E) or ascorbic acid (vitamin C), which are widely regarded as harmless. We considered the following elements when deciding on the best of the best cat treats. Smell: Cat treats are designed to appeal to animals who’d happily eat a dead bird, so we weren’t expecting to find them appealing. But we wanted to be able to open the bag without cringing (we were out of luck when it came to the potently fishy PureBites Oceanfish treats). Size: A bite-sized tidbit is not only easier for a cat to eat, it’s also better for them since it helps you avoid doling out unnecessarily large portions. Grandma Lucy’s Freeze-Dried Liver, for example, packs plenty of great nutrients but comes in chunks roughly the size of a quarter that seemed more appropriate for dogs (in fact, the treat is advertised as being “for dogs and cats”). Packaging: We made sure each bag was easy to open and reseal for freshness. Most treats didn’t have trouble here, although Fancy Feast Tuna Treats lost ground. Its individual plastic packages of pre-portioned tuna seem like a neat idea, but they take a lot of effort to open and then dole out. Real-life testing: To make sure we were only recommending cat-approved products, we gave each treat to our four feline judges: two healthy seniors and a pair of two-year-old siblings. Our cats were generally eager to taste every treat given to them, although they had a slight preference for fish smells and flavors. Soft, bite-sized treats that contain nothing but a mix of freeze-dried liver and venison, from a company with a reputation for transparent manufacturing practices. 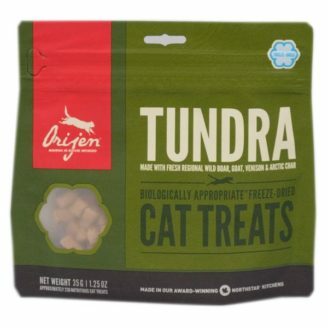 Our top pick: Orijen Tundra Cat Treats, a healthy and “biologically appropriate” treat made of nothing but protein, from a company with an outspoken commitment to quality control. The treats come in a variety of flavors so that you can experiment to find the ones your cat likes best, from boar and goat livers, to venison and arctic char. Experimentation is healthy, since organ meats like liver provide different types of nutrients than muscle meats (like chicken breast). One has higher levels of some vitamins and iron, the other is a good source of omega-3 fatty acids. Plus, each and every formula boasts regionally sourced ingredients. 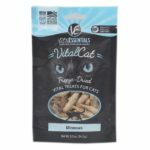 Small, soft, and freeze-dried, these treats offer nearly the same nutritional benefits as fresh bites of meat, but are easy for you to serve (and for kitty to consume) without making a mess. The chewy texture makes them less prone to crumbling in the bag or on the floor than other dry options. The shelf life is quite a bit better, too. Freeze-dried makes for a convenient treat, plus it’s also one of the least-processed treat types available, often containing nothing but meat, which is what your cat really cares about. These cat treats are Canadian in origin, which means you might have a harder time finding them on shelves in the U.S. Import costs may also raise the price a little higher than roughly equivalent American-made products. Hitting nearer $10 than $5 for a small 1.25 oz. container, we still think the superior quality is worth the upcharge. These dried minnows made some owners squeamish, but they’re a good low-odor option for cats who love fish. Our runner-up for best cat treat, Vital Essentials Minnows Freeze-Dried Cat Treats, have just one ingredient: minnows. These tiny, freeze-dried fish — about an inch long from eyeballs to tails — might be unappealing to the faint-hearted human, but our cats gobbled them, meowing eagerly once these bags were opened. Our cats were vocal about these fishy treats, and we appreciated that they are less stinky, easier to hand out, and more affordable than pouches of wet fish. Containing nothing but whole, dried minnows, they’re easy to portion out individually and we could barely smell them when we opened the bag. Much like Orijen, Vital Essentials has an impressive commitment to quality. All of their pet foods and treats are sourced, manufactured, and packaged in the U.S., and the company maintains strict quality control standards that include voluntary on-site USDA testing. Because Vital Essentials minnows are just what the name suggests — minnows — either you or your cat may soon tire of the same-old, same-old. 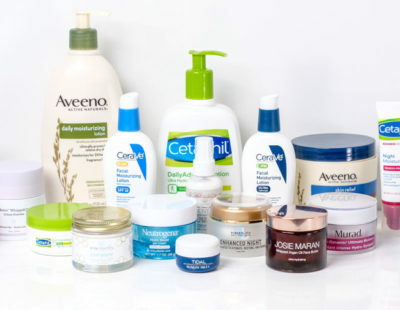 And since allergies sometimes express themselves with repeated consumption of allergen over time, you will have to seek out another brand altogether if symptoms crop up. That said, most cats can’t get enough of fish in general, and these freeze-dried minnows in particular. Lightweight flakes of dried bonito (a type of fish) that make a great kibble topper to encourage picky eaters. 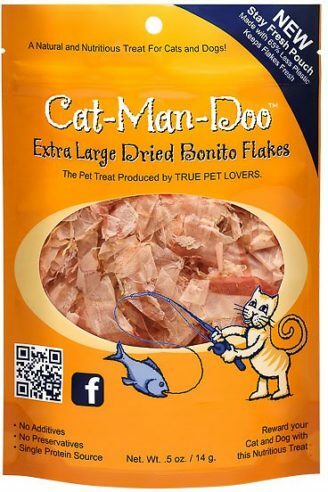 Another fishy option, Cat-Man-Doo Dried Bonito Flake Cat Treats took us by surprise. This simple treat consists of nothing but dried fish flakes, each piece roughly the size of a corn flake. Bonito flakes are so lightweight that we found them tricky to portion out individually (pull out one and you’re likely to come out with a handful) but they’re great for sprinkling onto kibble. Sprinkle on top of dry food and watch your cat come running. These thin, airy flakes are a godsend for picky cats, who are likely to flock to kibble when there are bonito flakes involved. Bonito is a kind of tuna, and these fish flakes are simply dried portions of bonito skin. While the Cat-Man-Doo brand is not for human consumption, other types of bonito flakes are popularly used in Japanese cooking. This single-ingredient treat has everything a cat wants: protein, protein, and more protein. Like Vital Essentials, there are no other ingredients beyond the fish itself. Be warned that this treat does smell heavily of fish; open this bag, and there’s no question what flavor it contains. But while it was stinky for the humans, it was a huge winner with our cats. This powdered broth needs to be mixed with hot water before serving, but it’s another mix-in that can be used to coerce reluctant eaters. 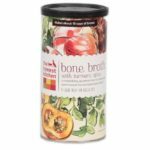 The Honest Kitchen Functional Liquid Treat Bone Broth is another kibble mix-in that we liked. Like Cat-Man-Doo, this option can be added to wet or dry food to make it more enticing. In this case, mix the powdered beef with hot water to create a rich broth which can be poured over whatever cat food your cat likes (or doesn’t). If you feed your cat dry food and are concerned they aren’t getting enough moisture, The Honest Kitchen’s bone broth is a tasty way to tackle the problem and make sure you’re giving your pet the best cat diet you can. The instructions suggest mixing the broth with wet and dry food alike, or serving alone. We tried adding it to wet food, and one of our test cats was excited enough to try to knock his bowl off the counter before we finished preparing it. 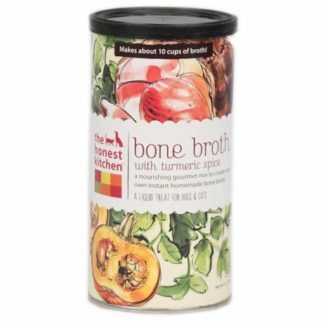 Because Honest Kitchen Bone Broth is a powder, it has a much longer shelf life than opening a can of liquid beef broth. While this liquid treat is versatile and satisfying, be warned that it’s a touch more labor-intensive to prepare. You’ll have to heat water, mix in the powdered broth, and then wait for it to cool to a drinkable temperature. It’ll take a minute or two for the powder to unclump and dissolve fully. Our ingredient-based cuts left us with a list of 16 cat treats, all of them great choices for a healthy cat diet. They’re free of fillers and offer the whole protein sources that cats love. 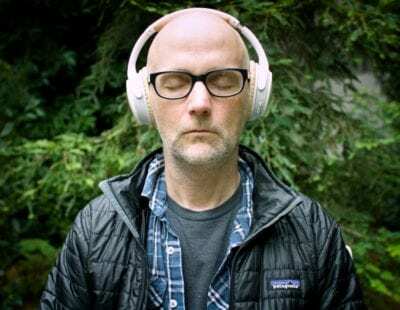 To land on our favorites, we tested the final 16 by hand, considering their smell, size, and packaging, as well as our experiences feeding them to our own feline companions. 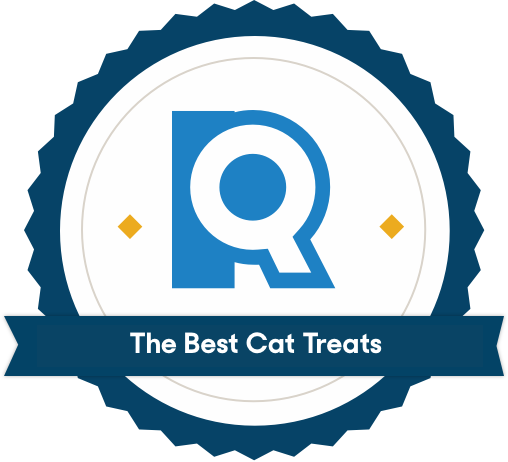 If you want let your cat sample from a larger pool of contestants than our top four, try out our hands-on testing process yourself, starting with however many of these excellent cat treats you want to pick up. In making final distinctions between good cat treat brands, we gave priority to companies that offered multiple flavors. Cats, like people, can have food allergies and flavor preferences, so we focused on brands with at least three options to choose from. If your cat can eat it all, or you want to shop for what’s on sale, a range of flavors won’t be as important. But if your cat disdains all but salmon, or has known allergies, we’d steer you back to our favorite meat picks from Orijen and Honest Kitchen. Cats can sometimes be allergic even to foods they normally love, like chicken, fish or beef. In cats, food allergy symptoms typically take the form of skin issues: hair loss, lesions, and scratching. If a flea allergy has been ruled out, it may be a protein or carbohydrate that is bothering your cat. The only way to know for sure is to feed a limited-ingredient diet and gradually reintroduce ingredients to find out what’s causing the trouble. How many treats can I feed my cat? Over half the pets in the U.S. are classified as overweight, and Dr. Richter warns that “treats should be a minority of a dog’s or cat’s daily food intake.” If you’re using treats frequently as part of training, it’s a good idea to reduce your cat’s meal portions accordingly. Research also suggests many indoor cats don’t get enough physical exercise, with one study finding inactivity to be a predictor of diabetes. So if you’re inclined to overindulge your cat (it’s easy to do), try giving out treats at the end of a long play session. Can I give my cat a bowl of milk? Despite what you may have seen in movies, it’s not actually a good idea to give cats a saucer of milk. Why? Most cats are lactose intolerant, which means that digesting milk can cause an upset stomach. Size 1.25 oz. 0.5 oz. 4 oz. 5 oz. You want the choices you make about your pet’s health to be the right ones, from the vet they visit to the food you put in their bowl. We’ve consulted animal wellness experts and analyzed the ingredients to help you make great purchasing decisions when it comes to your furry friend.